Enjoy 20% Discount Off Taking Your Holiday Between 1st February - 17th April. Simply Enter Your Email Below and Hit Subscribe Button - Then Check Your Email. 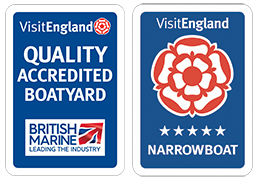 We are Moored at a Quality Accredited Boatyard. © 2018 HOEN Canal Boat Holidays.